The Drachid is a reclusive, solitary Creatu. 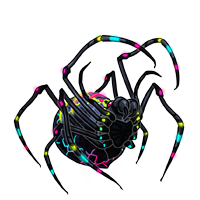 Although brightly colored they can use their spellweaving abilities to move undetected through any environment. 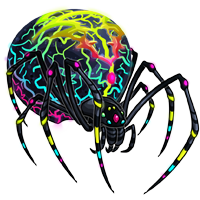 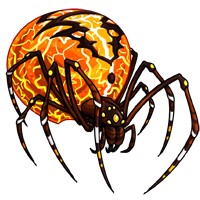 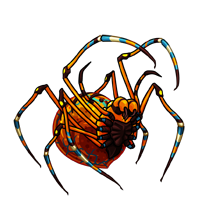 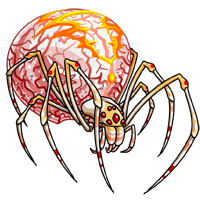 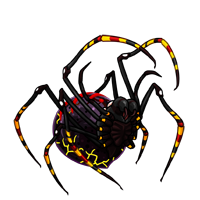 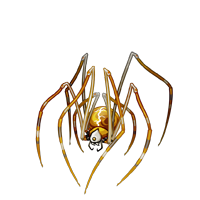 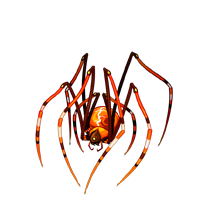 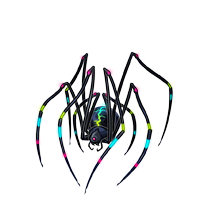 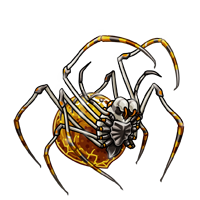 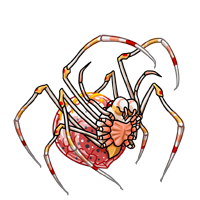 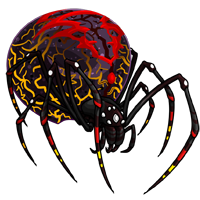 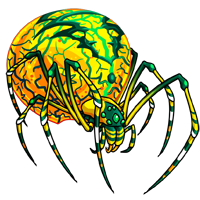 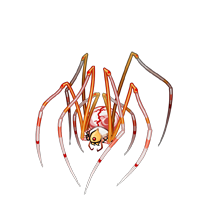 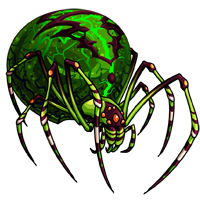 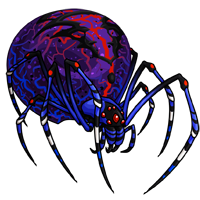 Their spells are cast into webs that can control part of the consciousness of any human, Creatu, or animal in contact with the strands. Even a single thread of silk touching skin allows them enough control to make themselves undetectable. 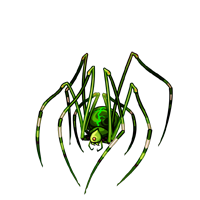 Although they are often impossible to find, these Creatu are highly sought after as a source of magical energies. 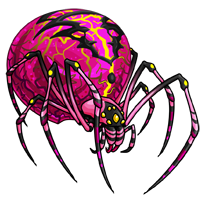 Many eggs are laid in a clutch but most will not make it to maturity. Discovered eggs are often eaten or harvested for the latent magic within. 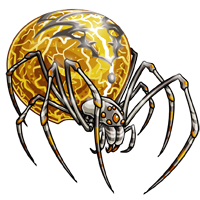 Hatchling Drachid do no weave spell webs and have undeveloped magic; they rely on self-disguise spells and speed to remain safe. As they grow, their speed slows slightly but their weaving abilities develop at an incredible pace. When fully grown they can weave webs large and powerful enough to trap a grown human and send them instantly into a deep slumber filled with dreams woven into the web. Spell webs are also used for communication. 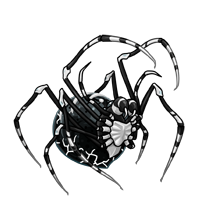 Drachid can project the impression speech though their silk without making physical sound. Drachids must be raised around humans from birth if they are to be kept as companions. 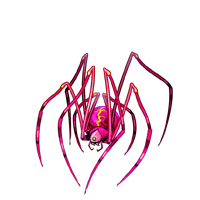 They usually only connect with one or two humans and will often drop a thread or two on guests to keep themselves hidden. Keepers of Drachid enjoy nights full of wonderful dreams. 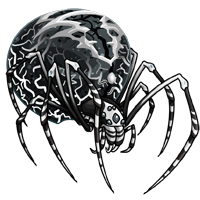 Drachid can weave any dream their owner desires into their webs to be used as blankets. 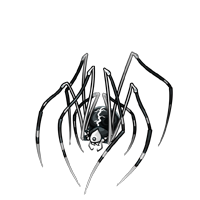 If mistreated, they will warn their keepers with unpleasant little surprises in dreams. When made extremely unhappy, Drachid have been known to wrap the source of their displeasure in a cocoon of spell silk, trapping them in a world of nightmares. Treat this Creatu well and keep them away from crowds and you will never have another restless night.